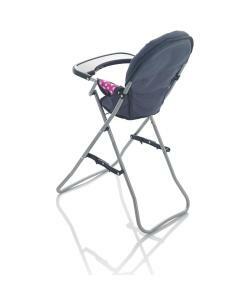 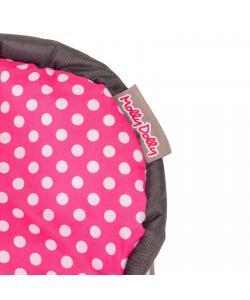 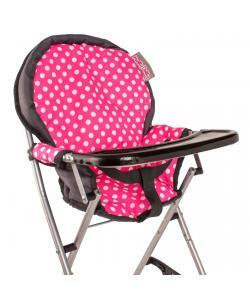 The Molly Dolly deluxe dolls highchair has a trendy pink and grey polka dot design and is great for stimulating your child’s imagination, whilst the collapsible frame means that parents won’t have to worry about storage room, as it can be easily stored away. 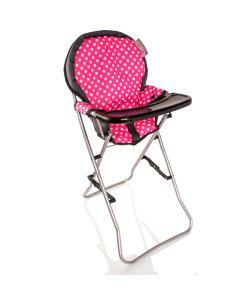 Perfect for inspiring your child in their doll related play scenarios, this Deluxe Dolls High Chair comes with all the features kids will love. 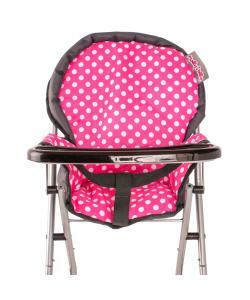 The sturdy tray is great for pretend play doll feedings and the secure seat belt will ensure your child’s favourite doll remains safe and strapped in to the chair.